Clinton attended a ceremony in New York for the 15th anniversary of the 9/11 terror attacks, but departed abruptly when she was not feeling well. 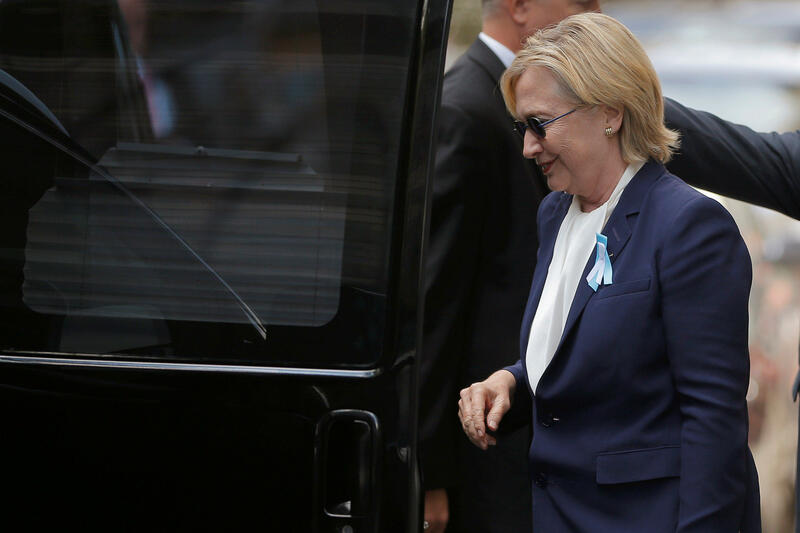 Video footage of Clinton’s departure shows her appearing to stumble as she entered her van. Her campaign did not immediately explain why the Democratic nominee did not reveal the pneumonia diagnosis prior to the Sunday incident, raising questions of transparency. Clinton arrived at her daughter’s apartment some time later and departed shortly after for her home in Chappaqua, N.Y., where she was examined by Dr. Bardack. The Associated Press reported Sunday evening that Clinton called off plans to fly to California on Monday morning for two days of fundraising, campaign events and an appearance on Ellen DeGeneres’ talk show. Clinton currently is still slated to be in Nevada on Wednesday and Washington, D.C., on Thursday. In summer 2015, Clinton’s campaign released a statement from her doctor saying the 68-year-old appeared to be healthy, though noting that she suffers from hypothyroidism, seasonal allergies and also takes medication to prevent blood clots. In December 2012, Clinton sustained a concussion after fainting and was unable to testify on the Benghazi attacks, rescheduling for another date. She was admitted to the hospital later that month with a blood clot, which was treated and which Bardack said last summer has been fully resolved. Clinton remains on blood-thinning medication as a precaution. As for GOP nominee Donald Trump, who is 70, the campaign last winter released a statement from Trump’s doctor saying he would be “the healthiest individual ever elected to the presidency,” but provided few other specifics. CBS News’ Hannah Fraser-Chanpong contributed to this story.